Carry your loved ones always with you. 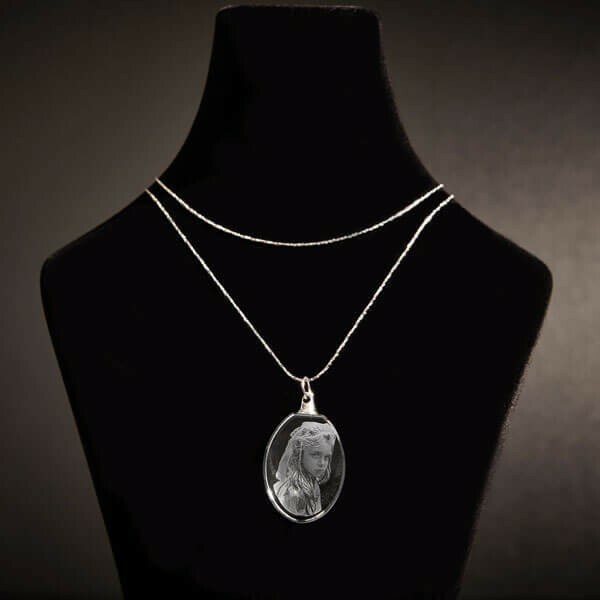 Get the beautiful oval crystal necklace engraved with a 2D picture of your loved ones. It's as easy as uploading the image of your loved ones here and that's it! We support Jpeg, Jpg, Png, Bmp & Tiff files. It is best to avoid blurry or dark photos. 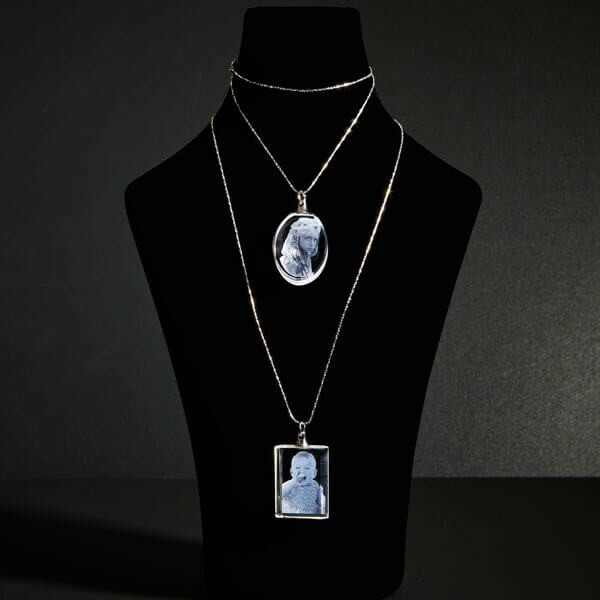 In the rare circumstances, if we cannot use your photo for your 3D crystal; we will contact you for a different photo. Please note if you see your image in the preview window, your image was uploaded successfully and we will be receiving the original image you uploaded. 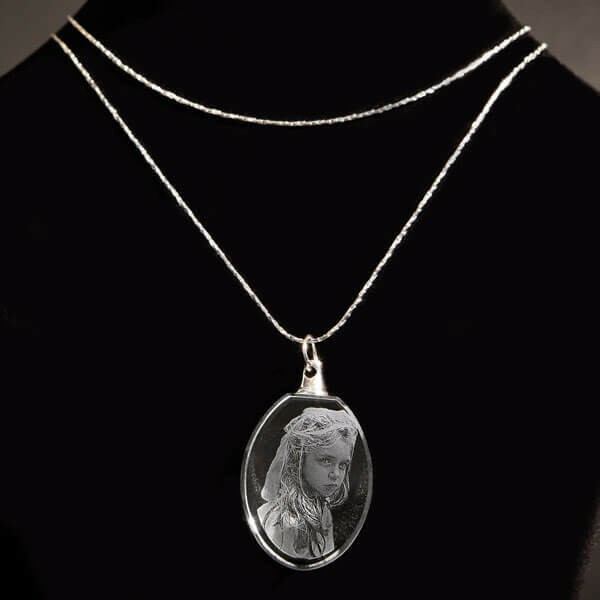 The necklace is same as shown and it is completely comfortable in wearing. So happy that I got this right on time. Looking forward to buy more. my son recently passed away and in memory of him i had a few of these necklaces made and handed them out to my family. E very one loved them.